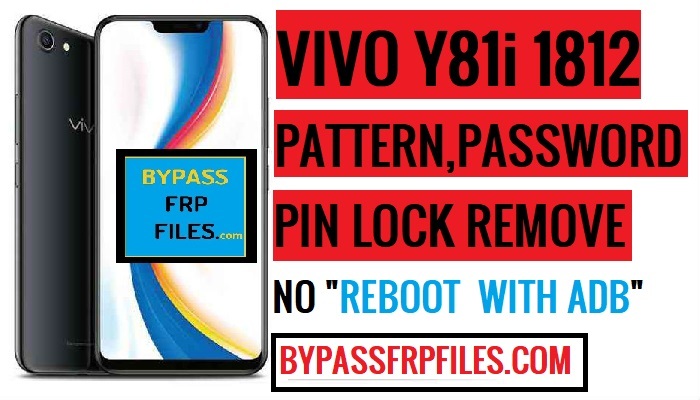 Today we share with you another latest method to unlock screen lock from your device very easily, even without using any latest paid tools or software boxes, too many of our viewrs request us to unlock pattern lock from Vivo Y81i (Vivo 1812) cause of the latest software patch “reboot with ADB” method not working any more. if you need the latest method to Remove Vivo 1812 Screen Lock so follow this method to Vivo Y81i Pattern Unlock with Miracle box 2.82 crack easily. This method we successfully worked on Vivo Y81i (1812 ). -After that, download the Miracle Box 2.82 with loader” from below. -Then extract the downloaded files to your pc. -Once done, then open the extracted folder then there you will see “Miracle 2.82.exe”. -Double click to run the programme. -Check below process to fully install Miracle Box 2.82 with loader here. -Then go to your desktop, there you will see “Miracle 2.82 crack” icon added there. -Right click on that icon, then select “Run as Administrator” to open the Miracle 2.82 crack. -Once opened the tool, then click on the “MTK” tab. -Then go to “Service” tab, then check below to select “Boot”. -Now click on the “Boot Select” then select “8th Boot (MT65xx/MT67XX/MT8127)” from there. -Then check below, and click on the “Universal” button. -Select “Vivo Y83” from there. -Then click on the “Format” option from the top right corner of the MTK “Service” tab. -Check below then select “Auto” and then “Advanced (FRP)”. -Once done, you need to USB driver for your PC to connect your device and successfully Vivo Y81i Pattern Unlock. -After that, extract the MTK USB driver. -Open the extracted folder, there you will see the setup.exe. -Run the programme and then install MTK USB driver. -Once done, then click on “finish” button. -Now you need to connect your device now to Remove Vivo 1812 Screen Lock. -Open the Miracle tool once again. -Then click on the “Start” button from below. -Once done, then disconnect and power on your device. HEllo sir i am alrady try this method not working. If u have another method than tell me.